Oct - 17 | By: cvre_admin | No comments. Perhaps you are ready to purchase your first house, but you do not know where to start. While you have a basic idea in mind of your budget, your wants and your must-haves, you still may be uncertain of what exactly y our dream house will look like. 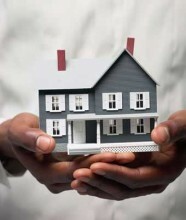 Putting a down payment on a home is a big decision, and one that should not be taken lightly. Here are five tips to help make your search easier. Search online before hitting the market – We post pictures on our website of homes for sale. Do your homework and look through these listings before heading out in Chula Vista. Realtors can then help you to find what you’re looking for based on the ideas you’ve already formed about what you love and what you could live without. This will help you become a more discerning home buyer up front. Visit more than one house before making a decision – Your real estate agent will take you to homes that already meet your basic criteria. Chances are high that you will love the first house you see. Still, you should explore all of your options to be certain that there is not another home that you might love even more. Bring a digital camera – While our website and others have pictures of homes for sale, you should have your own personal documentation of what particulars you loved or did not like about specific homes. This will allow you to refine your search and make a better decision. Take note of the neighborhood – What constitutes your home is not limited to your lot alone. The way the neighborhood looks and feels and the local businesses available to you are equally important. As you drive through the neighborhood, it is a good idea to note where the closest stores are, how other lots are cared for, etc. In a great community like Chula Vista, realtors, as well as other local homeowners, will be able to clue you into the perks of certain neighborhoods. Revisit your top choices one last time before deciding – Purchasing a house is a monumental decision. While you may have fallen in love initially, your second trip back will give you a more realistic feel for the house you may be investing in. It is a good idea to revisit a property before finalizing a sale. Your first home purchase is an exciting milestone in your life. Use these tips to find the perfect first house for you.